What’s the most important word in Success Psychology? PARADIGM!! How much do you know about paradigms? If I asked you to speak in front of an audience for 10 minutes, would you be able to deliver a teaching session on what paradigms are, how they’re formed and most of all, how to change these??? If you wouldn’t, don’t worry, most people can’t tell and yet this is the KEY to ACHIEVING ALL YOU’VE EVER WANTED! 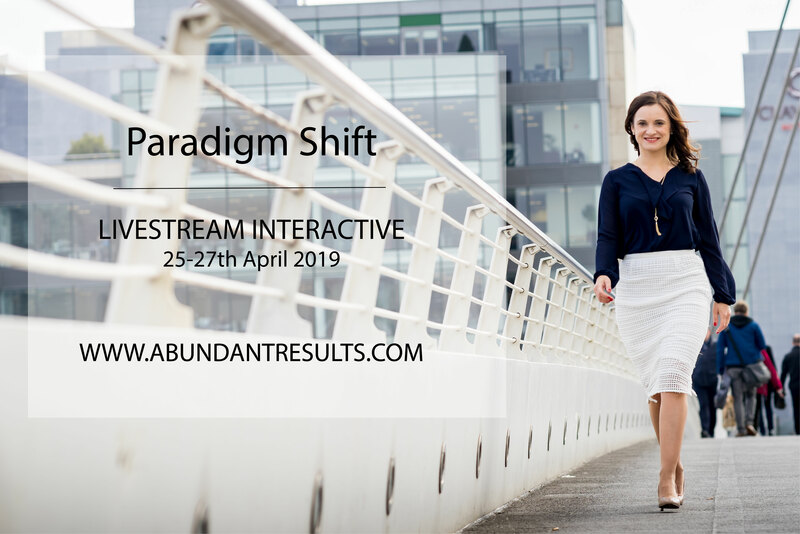 Join us for 3 days of watching Bob Proctor’s ‘Paradigm Shift’ Live Event this April (25-27th) and you’re life will never be the same! Make a DECISION today to learn about PARADIGMS and truly transform your results! No more working hard and not seeing the results you’ve always wanted, we’re talking real, tangible results in your bank, in your confidence, business, relationships and all areas of life! TO JOIN US, click on this link: https://bit.ly/2FCluzq and purchase your access! Be sure to email me @ ewa.pietrzaktir@gmail.com that YOU’RE IN so that I can connect you with our Facebook community and ensure you receive my mentorship for 2 weeks from the start of the livestream. Looking forward to inspiring, mentoring you and celebrating your successes cause I have 100% confidence we will be celebrating if you join us!